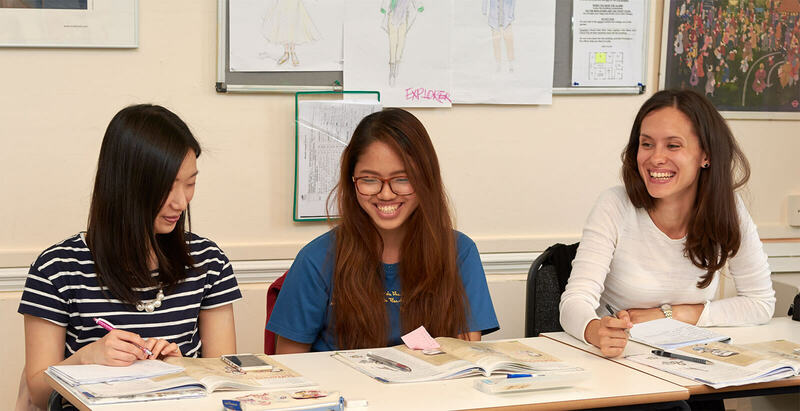 St Giles offers you a wide choice of courses at our English language schools around the world to meet your personal needs, whatever your level, your age or your interests. Whether you are learning for your career, for higher education, travel or just for fun we have a programme for you. Find the perfect course for you with our course finder. Some students may also be eligible for help towards the cost of their course at one of the St Giles schools in the UK from the EU programme ERASMUS+. You can apply for this funding through your company or university. At St Giles, we offer a wide variety of courses at our schools around the world. Our aim is to help you improve your English language skills, make progress and achieve your aims. Learning English in an English-speaking country is ideal because it allows you to perfect your skills quickly and easily with practice both inside and outside the classroom. Our General English courses are designed to help students communicate successfully and confidently in real-life situations. Classes have a maximum of twelve students, to ensure that every student receives personal attention from their teacher. Although classes have a focus on speaking and listening, students have the chance to practise all four skills, helping them reach their full potential. Students can choose to study for anything from 1 to 24 weeks; any students who want to study for longer should look at our International Semester Courses. Our Long Term English Language courses are perfect for students who want to spend 6 months (24 weeks) or more studying English and experiencing life in an English-speaking country. If you’re taking a year out of education and want to use your time productively, a Long Term English Language course might be the answer. These courses are also ideal for students who want to prepare for future study, who are getting ready for entry to university, or who need to improve their English for their future careers. These long term courses are designed to be as flexible as possible. Students have the option to split their studies across different St Giles centres and experience life in different cities. You can also choose between an intensive programme of 28 lessons per week or a 20 or 22 lesson programme. At St Giles, we want every one of our student to reach their full potential and succeed in whatever they hope to achieve. That’s why we offer courses that assist students in preparing for a variety of internationally recognised English language exams. Over 1.5 million students take a Cambridge English exam each year. These exams are widely respected and are accepted by employers and educational institutions worldwide. At St Giles, we offer Cambridge Assessment English preparation courses for the B2 First, C1 Advanced and C2 Proficiency exams in the UK, USA and Canada. The IELTS qualification is an internationally recognised exam. It is the entry requirement for universities in the UK, Ireland, Australia and New Zealand. It is also widely accepted by many governments and international companies. As well as a stand-alone course, we also offer IELTS preparation as part of our International Semester programmes. At St Giles, we want our students to learn English in a practical manner, so that they feel confident using it in a natural environment, not just the classroom. This is why all of our schools are located in English speaking countries, so that students can continue practising even after lessons are over. Although all of our courses allow you to develop your ‘real-world’ English we also have various English for Special Purposes courses on offer. These are designed to give you the skills and experience you will need for your future studies or career. Our Business English course in Vancouver, for example, focuses on topics that will develop core business skills as well as language skills. These topics include: meetings and communication strategies, business vocabulary, presentation skills, understanding cultural differences, marketing, negotiating and selling and finally, using the telephone. Essentially, we want our students to leave our schools feeling completely comfortable communicating in English, especially with potential employers. At St Giles, we really do have a course for everyone, no matter your age or language level. We even offer Family Courses, which are designed for parents and children aged 5 to 15. These courses are a fantastic opportunity for parents and their children to bond, learn a new skill, make new friends from all over the world and visit a country that they have possibly never been to before. As well as English lessons in the morning and fun activities on certain afternoons, families will enjoy one full-day excursion per week and some free time to spend together, so that everyone can make the most of their stay in either the UK or the USA. Every St Giles course offers you the opportunity to improve your real-world English. You’ll practise all four skills extensively - we’ll encourage you to learn vocabulary and practise your spoken English, you’ll have chance to read authentic materials and develop your writing, and you’ll be able to measure your progress with regular assessments. Learning English in an English-speaking country is one of the best ways to quickly improve your language skills as you won’t just be practising in the classroom. Instead you’ll be using them every day - when you go to restaurants, when you meet with your new friends, and when you explore the city. Our English language courses are created to fit your schedule and needs. Whether you want a short course of 1-2 weeks, or you want to spend a year abroad to improve your English, we have a course for you. You can even add on private one-to-one lessons so our teachers can focus specifically on your needs. Alongside our range of adult English courses, we also offer courses specifically aimed at younger students and at families. 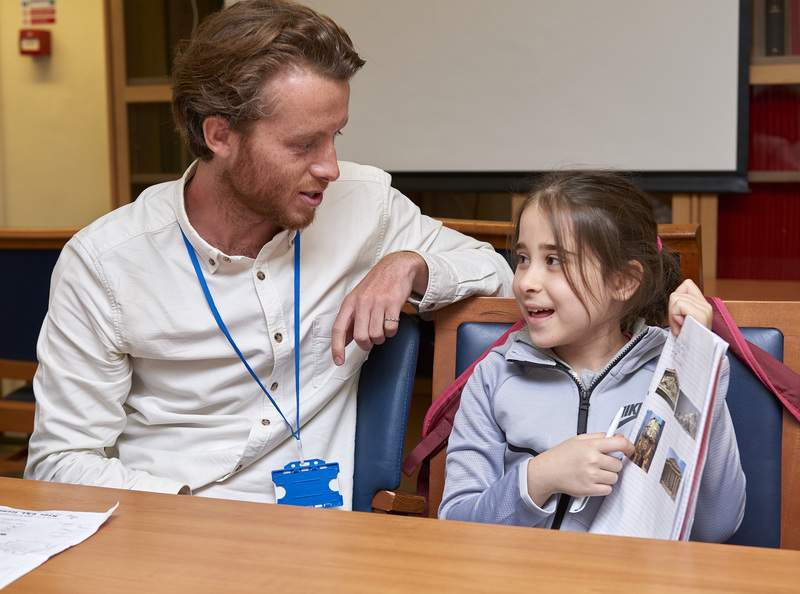 Parents and children (aged 7+) can study English together on their summer holidays with our tailor-made family courses. These are an excellent way for parents to help their children improve their English ready for the next school year whilst enjoying all the benefits of studying at St Giles themselves. For students aged 8 to 19, we offer junior summer centres at a wide range of exciting locations across the UK, US and Canada.